We are offering an archive of custom firmwares for your Archos 7 Home Tablet version 1. These firmwares let you upgrade your device to latest Android operating systems, such as Android 2.1 (Eclair), Android 2.2 (Froyo) or Android 2.3 (Gingerbread). They also let you have superuser “root” access to the device and install Android Market. These custom roms are made by independant developpers and are not supported by Archos. They are experimental work, please upgrade only if you know what you are doing. 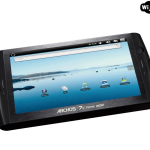 You will find here few firmwares for Archos 7 HomeTablet version 1 (7HTv1), if you are not sure on which version you have, please check our Archos 7HT v1/v2 page. If you have an Archos 7HTv2 please visit our dedicated firmware page. It says trying comunicating with servers then says it cant establish reliable data connection to the server? Wifi has been reset up so dont think its that. ps what other benefits does running yar28 other than having google marketplace? tried using browser doesnt load any webpages …archos says has wifi on with full signal…. this might be dumb, but after i put the image on my archos it updated and rooted but is still have 1.0.1.5??? what am i missing i thought i could go to 2.2?? Ok, just a guied or a tut? anywhere? i have googled it. it just keeps finding this page, and other sites that link to this page. So anyone can just point me to a tut that will be oe step. hello all, let me just be clear to you all…ABANDON ALL HOPES FOR ANYTHING OTHER THAN CUPCAKE TO RUN ON YOUR ARCHOS HOME TABLET VERSION 1….as an AHTv1 owner, i struggled to get past cupcake for the simple joy of flash…did everything…almost lost all use of the device as u may read in earlier threads trying multiple firmware upgrades, and have resigned to be grateful with the vast improvements yar28 (only perfectly functioning upgrade) has made to the device, including opening up the android market, google apps, and best of all increased internal memory allocated for apps….before about 6 apps wuld brim the capacity, now skies the limit. Take my learning the hard way, use yar28 only! yes Fabian, I too have ran into apps saying I do not have enough space, whats up with that ? is there something I need to do to increase it or should yar28 have done it ? i have installed yar28, but it is still cupcake. is there any rom for upgrade to elclair? are the one in archive suggested to be adopted?? Thx! Hi. I had bought a refurbished Archos 7 HT v1 off Amazon. I downloaded a version of Android market but it seems it’s V1.5 or lower. I bought this tablet so I can play different games on it like Angry Birds and Words With Friends. Plus the ever so great “keeping restless kids occupied for hours” clause. I was wondering if there’s a way to update the market. And if it involves me downloading some firmware, how would I go about doing this? I’m extremely new to the tablet experience. Is this version of the firmware already in the image or mus I download the Android v2.2 from another site? where can I download froyo, to install it then? I would like to upgrade it to Yar28 and keep it , I DL’d the RK and Yar but want to be sure this goes smooth , Is the Rockship Driver another DL IU need to obtain before I destroy my new tablet ? OK emailed support for it… said I needed to instal the cupcake version they have, would this be “the same” as what it already is as it says the same info ? they also told me to redownload appslib and reinstall it.. which works now thank god for something working right !, just wondering if the firmware update would make any difference and how do I know or find out what Android version I have, as the firmware says 1.0.15 I assumed that this is the android version as well, am I wrong about this?, also would it be a big help to upgrade to YAR still ? YAR28 as I type, loaded it onto micro SD and stuck it in… asked me if I wanted to UPDATE to firmware version 0.0.0 (I’m like… WTF… OK) so far it looks like its doing good,…. rebooting… wow new startup screen looks cool. hummm gears are smoking LOL wondering when it will unfreeze ! LOL, ok took a few minutes but seems to be working… most the apps are gone so I’m starting fresh now, gotta set my alarms for work ! !… hope this fixes things… will post again later on how much better it works, gotta get to know it again ! OK, its been about 4 weeks, I’m VERY happy with the YAR28 upgrade, it works with more apps besides having the apps market it originally came with I can now use market.android.com as well, I still have trouble running some apps but I think its because yar28 only upgrades to 1.6., I finally got youtube to do video’s through a “youtube” app called youtube videos. it’s not the youtube that your PC gets but I guess its an android link that works buy finding the links. OH HAPPY DAY! finally got the rkandroid tool to work, and ireverted to yar28 with no problems!! flawless custom os upgrade…thanks again for your help. about to try flash app on it now…flash (online video) is the ultimately what most AHT7 v1 users crave…willl report results for all to benefit….but again…YAR28 is a GO!! works well! what do i do to move up to eclair 2.1 once i have upgraded my firmware to yar28? my ultimate aim here is to get flash operating on my browser! Seeing as i have previously erred to near fatal results with firmware upgrades, i will patiently await admin’s response before i do anything…atm the recommended version of flash (10.1) doesn’t load on yar28 firmware upgrade…still says firmware version 1.0.15….looks like cupcake still. There have been semi successfull experiences to get Flash to install, but it did not work smooth, being very limited by the CPU. Having a great Flash experience on this tablet is a bit of a lost cause. For the rest, yar28 should give you satisfaction and is probably the best firmware for the Archos 7HTv1 so far. That’s good to hear that you managed to flash back your device. Still, we’ll make that Rockchip flashing tutorial video as it may clarify things and help others. not sure if u read my question above, but could you tell me where to go from here….im running on yar28 os beautifully but need to get to 2.1 (elcair)….yar28 still reads as cupcake (1.0.15). You know my history, not doing anything without advice prior from u experts. Thanks again fro prior assistance. AHT7 v1 and YAR28 work great but I also need a eclair 2.1 image does anyone have one? Fabian, how’d you get the computer to use the rite driver..??? Sorry about what you are experiencing. You can give a last try to install the drivers for the Rockchip flasher, if it still fails please be a little patient until someone helps you out. We are quite busy here preparing the live report for the conference tonight, we’ll get back to you as soon as possible. Thank you for your concern. I tried again a few more times with same failed results. I will patiently await any further clarification on the flash process, as i understand how busy you guys are atm. Thank you for not ignoring my plight. did a lil research, it seems others that have had similar problems with the rkandroid tool’s driver not being accepted, used the android debug bridge (ADB) to get the rkandroid tool to read the device…is there any truth to this, and if so how can i do this? i think ADB is a bit over my head. warning to all archos 7 home tablet v1 owners! yar28 works!!! like others and myself however, other upgrades have crippled our systems. after upgrading BEAUTIFULLY with yar28, i got ambitious and attempted knight dominion v3….BIG MISTAKE for version 1 owners!! LET MY GRIEF BE UR SAVING GRACE…still unable to access sd card, unable to read frm pc…unable to upgrade os…stuck in limbo! dont make my mistake…and if anyone can help, please do. i have tried everything to specification with RKAndroid_ENG.zip (on many systems) to no avail. Thanks Fabian for sharing that with us. To help avoiding further problem, we are moving all firmwares to archive except yar28, which is the current recommended firmware. Has your tablet recovered or are you still stuck with a non working firmware ? I must comment your timely response. I am still stuck in limbo im afraid with the non working firmware. still on the hunt for that version of windows that will allow the driver to install for rkandroid to work…very depressing, as the yar28 was working beautifully! i bear no ill will…just lament the crippling of my system. You are a gentleman among administrators for that timely reply, though. Sorry if your tablet does not currently work as it should. We’ll try to help you giving more details (and prepare a video) about the Rockchip flashing procedure to make sure it works for you. Just give us some time to work on that, we have currently many other Archos related projects in the pipe, such as the Gen9 presentation event coverage. If you wanna have Android 2.1 on your Archos 7 Home Tablet, just rename the file to: update.img and that’s it! I do not have access, pc can’t find the driver and I can’t install it. I can not use some applications downloaded from market .How can I do? I can go back to original firmware? Don’t worry, you should get fixed easily, just follow the Rockchip flashing procedure http://www.arctablet.com/blog/archos-tablet/flashing-firmware-rockchip-cpu-based-devices-archos-ht-7-8-arnova-10/ as mentionned in many comments for this article. If it does not work on your computer, try on another one, it should work finally. This updates the Firmware if I understood correctly, but how to update the Operating System? J’ai instalé update_2.3alpha2_mem290.img sur mon archos 7ht v1 8giga, mais elle ne convient pas. je voudrais repasser a un firmawe stable qui ne confonde pas mon archos 7 avec un telephone. Le probleme, c’est que l’usb n’est plus reconus, je ne peut plus copier un fichier img a la racine. 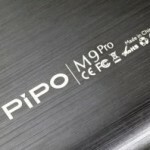 Pascal, pas d’inquiétude, vous pouvez reflasher votre appareil sur le firmware d’origine. Merci je teste dès ce soir. Hier soir j’ai tenté devirer gingerbread, mais RKAndroid, n’a pas detecté mon archos et mon w7 32bts me dit ne pas trouver de drivers dans les repertoires drivers de RKAndroid !! Bref Nada, retour case départ, impossible d’utiliser mon archos. J’ai telechargé des apk, pour lire des avi et mp3, instalé depuis la carte sd, mais l’appli plante avec un message d’erreur. Un Geek du coté des Mureaux ? Tu peux essayer de copier le firmware d’origine à la racine de ta sdcard, la mise à jour de cette manière peut fonctionner dans certaines configurations. J’ai lu qu’il etait peut-etre possible de booter sur la carte SD. Serait-il possible d’avoir un zip contenant le nescessaire a copier sur la carte et le tuto. Qu’elle rom stable pour avoir le market, la lecture de fichiers avi et mp3 ? I have a Archos 7 HTv1. I downloaded the files from this page but I don’t know how can I install the img files?! How can I change the firmware? Which version is better for my tablet? I’d like to install the apps to SD card. I need help very very much! I installed gingerbread-alpha2.zip now my computer cant access it so I can revert back to the standard firmware. I even tried to use the archos developers drivers that archos recommends for developers to use to get into the device. I’m lost as this version doesn’t even read the SD card so I can’t even upgrade it fron there. PLEASE!!!! someone help me. Don’t worry, this problem should be solved easily. Gingerbread firmware has been removed from our firmware list, because it’s not stable and causing too many problems. No need for the SDK, please use RKAndroid_ENG.zip or W9_0.18.20101201.214043.zip as mentionned in my previous message. I already tried both and bot could not locate the archos7HTv1. 🙁 I wasn’t trying to dismiss your help in any way it just wasn’t working. Thank you very much for those. If I ever get into the device again they might come in handy. Still the RK flashing tools are one of the lower level solutions and should get you fixed… Maybe the driver isn’t properly installed, try to give it a try on another computer. Don’t worry, it’s gonna get fixed ! Others had similar issue, including myself and we managed to fix it. RK Flashing tools are designed for Windows, if you have a newer OS (Win7 64 bits) that gives you trouble, try to get hold on an older WinXP 32 bits machine. The drive should install just fine and you should be able to fix the device pretty quick. I’m on Vista(32bit) right now but my other computers are still packed away from my recent move. Where did you get you driver from? The one at archos ftp didn’t want to install and Vista surely didn’t recognize it. So I wasn’t the only eager beaver on gingerbread, LOL. I may not be trying to install the right driver. This SDK package still is installing and has been forever! Like I said though I’m willing to try anything. The driver is the one refered in RKAndroid_ENG.zip or W9_0.18.20101201.214043.zip packages. For W9_0.18.20101201.214043.zip, use the driver in 28Driver directory. Your edit helped. After it hit the reset button the darn thing came back to life took the driver and the update image without a problem. Thank you so very very very very much! You did an awesome job, wish more admins and tech people were as fast and knowledgeable. Glad it worked, have fun with your Archos 7HT. I just used the september 2010 firmware update to get to version 2.1.It kept me at version.My model is A70hb.Thats the version 1 model.What am i doing wrong to mod the version to 2. I have an Archos 7 home tablet and a bad copy of the gingerbread 2.3 rom I am trying to reflash it back to the faxtory default until a working version comes out the see sd and usb. I went the link that you posted but it says i must reboot it in reset mode and the only instructions on there list a volume button I do not have one so how do I put my tablet into reset mode? Please help. The longer this is on there the more it refuses to do lately it wont connect to my wifi which was fine two days ago. YAR is good custom firmware for Archos 7HTv1. It will get you Android Market which will help to install applications. Unfortunately there is currently no good (with great performance and stable) Adobe Flash support for Archos 7 HT (v1 and v2). These devices, as other running on the Rockchip 2808/2818 CPU does not offer the required performance to play flash content properly. You may find something to work, but it probably won’t be that enjoyable. You should probably check other alternatives to get your ballet or curling video off the internet, using applications such as Youtube that performs quite well on the device. Thank you very much for the information. Maybe I will return my tablet and get a another one. Hehe. This might be a dumb question but the Youtube application probably only plays youtube videos, right? Is there a way to install Android 2.1 on my tablet and then get Flash? Or is that not recommended? It’s quite easy to install Android 2.1 on your 7HTv1 following instructions on this article (YAR28 would be the recommended firmware). But you will run into troubles getting a proper version Flash to work at a decent speed (because of the CPU). There is currently no much to do appart from choosing another device (Archos Gen8 devices gives pretty decent speed on Flash content) or getting the video thru other ways, eg. Youtube. Youtube app play only their own content, so you won’t be able to play non “Youtube enabled” videos. i’ve the archos 7 htv1 with default firmware, which of these files do i use to install froyo on it? Froyo releases fro Archos 7 HTv1 are not that reliable for the moment. You may want to try them, but you will be probably disapointed, and we had some serious problems reported with these firmwares. After uploading update_2.1_memsize230mb.img and the knightdomonion, the internal hard drive and SD card are no longer detected by Archos, neither by Windows. I was able to following Puck’s directions to restore to Archos’s default firmware using Windows 7 and Windows Vista (if windows fails to detect the driver, go to control->devices, right click the failed/yellow device and manually update the driver). I just installed the Gingerbread onto my Archos 7 htv1 and now it doesn’t recognize when its connected to a computer. So i can’t directly put the files onto the root, any ideas? I’d really like to go back to KnightDominion v3 but can’t exactly figure out how to get it to update back to how it was. If you could explain the process then I would be very appreciative. Thanks! Can you try to put the firmware at the root on a SDCard ? We’ll do our best to help you fix your tablet. I am also having the same issue. I have 2.3, but the device’s hardware seems unable to keep up with it and I would like to roll back but I am unable to put an earlier firmware on there. Please post a link to this Rockchip flashing tool as I would love to at least get back to 2.1 or heck even the stock ROM right now. Hi Andrew..what’s up , i know how you feel – i had the same and lost all contact even with my sd card..i tought ..my Archos is screwed 4 life..but dont worry it’s not..
you will find the driver there..install it !! 6- Point Rk Android (At The Top) to the firmware..
7- Hit Update even do you will perform a downgrade..
check my Youtube video it might make your Android Experience more fun ! Thanks Puck, that’s the right way to do it. We’ll make an article about this procedure very soon, can we include your video, with your permission ? you dont want to see the first video i made about this device..
Sure bro and thanks guys keep up the wonderful work !! this fix didn’t work for me I have the 7HTv1 and it just says it doesn’t recognize my device when I select the xp driver (i’m on xp) i also tried the 2k driver to no avail….what now? mine keeps stopping at 35 seconds saying firmware download failed what do I do? Guys i forget 1 very important Step !!! take a pin and press the reset at the back for 15 or more seconds..
Admin thank you for the fast reply..i did install the Gingerbread and just renamed the file removed the 2 and rk android installed it without a problem. Just i have 1 strange thing since yesterday -since my Archos 7 ht starts crying about harddisk space..i have only 36 mb or so left..i,m like where is my 8gb?? used on the 1.5 so my reggae programs are gone and so my bee radio..
Wifi connects fine but when rebooting you will have to fill in yourwifi acces code again.. The device runs much slower and you will see that when typing -mistakes are going to be made..dont get mad lol !! But to play around Gingerbread on Archos 7 HT is just for the film..
Now i will install one of the other Firmware and will bring back a report how that went..
Wow i,m so lucky to find this site on this Sunday morn while playing around and checking for sites like these that work on making the Archos even Better !!! R E S P E C T 4 that !! I downloaded some of the firmwares and will try to see..
At this moment my Archos runs Knightdominions v3 firmware and after showing that off in video i will continue with a next firmware.. I do have the Archos 7 HT v2 aswel..because my v1 broke down and i was just starting to play with the firmwares -pissed that i was i bought the v2 for 139 eu in my city..
Dissapointed about the v2 cause i could not hack it with better firmware..i got lucky 3 weeks later when i received a brandnew archos v1 for the one i broke..waranty was still up !!! The store that rock;s in my city is SATURN !!! I will keep records of my progress on my Youtube..be free to join me ! Greets and BG UP to the Firmware makers..
Site added to fav ! !